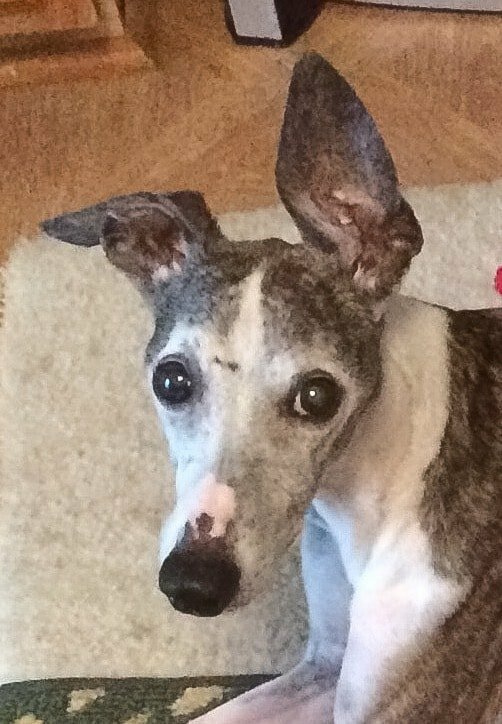 Devo, my beloved 14 year-old whippet, suddenly stopped eating nearly everything I gave to him. This included canned food he previously enjoyed and lifelong favorites such as freshly baked chicken. I was extremely concerned for obvious reasons, and by the fact that when my wonderful deerhound/greyhound, Zephyr, exhibited this behavior, it was a sign of impending disaster. After trying all types of food (including human baby food) without lasting success, I saw your Vital in the refrigerated foods section at Petsmart and decided to give it a try. I had never before fed refrigerated food to any of my dogs. What transpired was simply miraculous! Devo not only began eating regularly again, he regularly consumed all of the Vital that I gave to him. 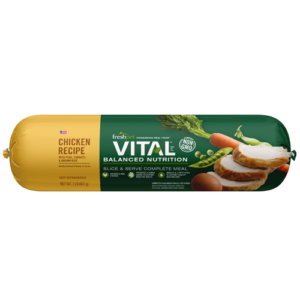 After over two months, he continues to love his Vital on a consistent basis. I cannot thank you enough for producing such a superb product. Not only have I noticed a significant improvement in Devo, this has also restored my peace of mind, as I no longer have to agonize over his refusing to eat. I feel that Vital has enabled me to enjoy many more precious days with my soul mate and longtime constant companion. Thank you very much, and well done!